PREDICT THE SCORE: Barcelona vs Atletico Madrid! 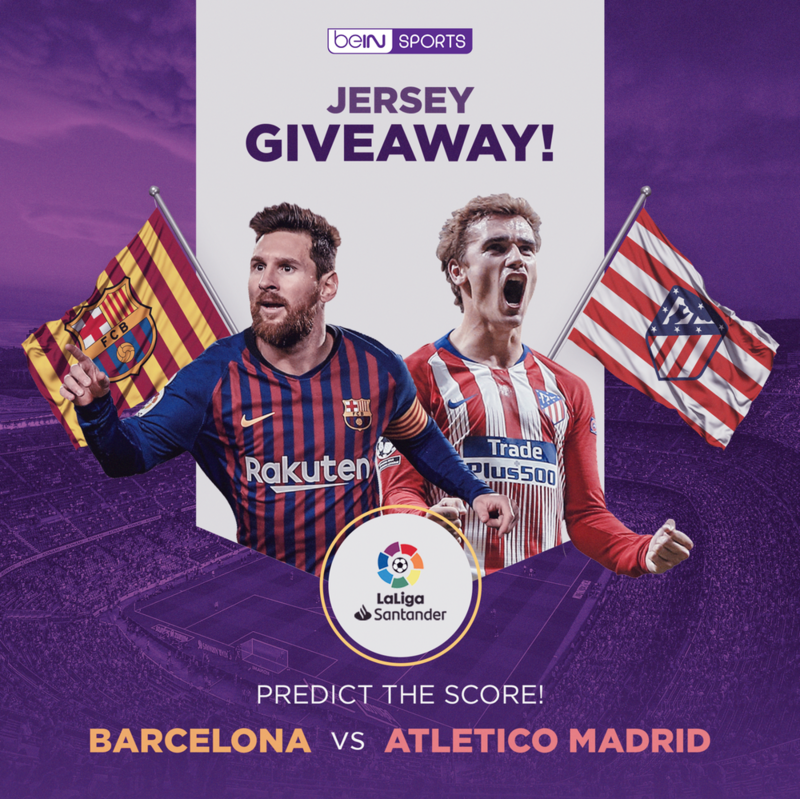 Win an authentic LaLiga jersey and more! PREDICT THE SCORE: Barcelona vs Atletico Madrid! Menangkan Jersey Authentic LaLiga dan Hadiah Menarik Lainnya! Step 1: Tebak skor pertandingan antara Barcelona vs Atletico Madrid! Step 3: Pemenang akan diumumkan di www.facebook.com/beinsportsindonesia pada 9 April 2019! The Contest begins on 4th April 2019 at 5 PM and ends on 7th April 2019 at 10pm (the “Contest Period”). Entries must be received by beIN SPORTS within the Contest Period..
To enter, Eligible Entrants must visit http://bit.ly/tebakskorlaligabarcaatleti during the Contest Period, follow beIN SPORTS Indonesia Facebook account and provide his/her entry by commenting on the “CONTEST POST” with their entry answer (“Entry” or “Entries”). On 9th April 2019 at 12:00PM, beIN SPORTS will select two (2) winning valid Entries which best meet the judging criteria referred to in clause 7 as the winner.